Figgy has two problems. One is her name. Nobody in Ghana has such a name. The other is that her grandmother is ill and in need of special medicine. Figgy can’t do much about her name, but she can do something for Grandma Ama. So commence her adventures as she begins to walk to America to bring back precious medicine. Accompanying her is Kwame, her special goat and Nana, a runaway boy who joins her early in her travels. 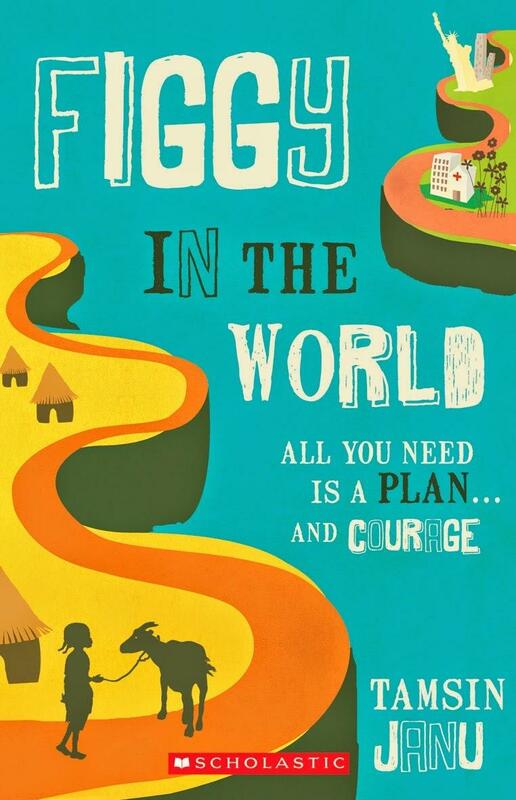 With echos of the tone in The number one ladies detective agency, Figgy in the world is an uplifting story of innocence, loyalty and courage. Frequent touches of humour and a rare insight into life in Ghana, carry this beautiful story along. A debut novel by young author Tamsin Janu who has worked with children in Ghana, Figgy in the world is short-listed for the 2015 Children's Book Council of Australia's Children's Book Week awards. This is not a difficult read, and will be enjoyed by children 7+. It would also make an excellent family or class read.